About the author: The Uema karate family dojo stands on the top of Shuri hill, in Naha City. Late Joki Uema born in 1920, Yasuhiro Uema born in 1945 and Takeshi Uema born in 1975 are at the head of the Okinawa Shorin-ryu Karatedo Association Shubukan Dojo. Introduction: Compiled in 2 DVDs, the Uema family and its top disciples demonstrate Okinawan traditional Shorin-ryu karatedo and kobudo. Written and produced by: Okinawa Eizou Center Co, Ltd. Language: English, Japanese, French, Spanish and Chinese. 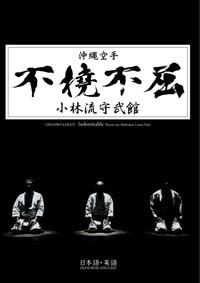 History of Okinawan Karate: the first ever history documentary realized about Okinawa karate, shurite and shorin-ryu history filmed in high definition. Realized with the participation of Uema Joki sensei and Uema Yasuhiro sensei, it is a must see for all karateka, regardless of styles.